​If you didn’t know, crossing a Pit bull and a Labrador dog will result in one of the most loving and caring dogs mix ever. Not only that Pitbull ​Lab ​Mix is popular now-a-days, but it also is one of the most successful dog bred ever. Anyhow, ​Pitbull and ​Lab mix surely is something wonderful, but is this bred a right pet for your home and family? Well, stick around and find out! 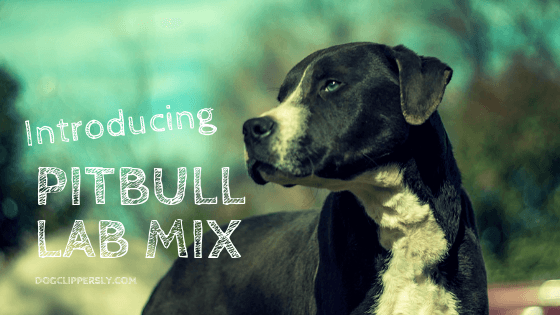 First of all, Pitbull ​Lab ​Mix dog is a loyal friend that is full of energy and life. This means that you can expect from this dog to be a loyal companion of your family. Anyway, if you really want to get one of these puppies, you should definitely read this article and see how to provide a long and happy life for one Pitbull Lab mix dog. Not many people know this, but Pitbull ​Lab mix is also known as Labrabulls or Pitadors. So, we can say for sure that Pitbull ​Lab mix is an offspring of two very popular and really loyal dog breeds. The Pitador is something special when it comes to dog breeds and this mix is definitely one of the most active and playful dog breeds ever. Anyhow, Labradors are, as we all know, one of the most suitable dog breed for family and home. They are loyal and they have lots of energy which makes them affectionate companions. On the other hand, Pit bulls are a little bit different dog breed. Namely, the Pit’s reputation is clearly not convenient for homes since they are known to be pretty aggressive type. Also, Pit bulls are often trained for fighting which gives them an even worse reputation. However, every dog can be trained properly and become a great life companion, so does Pit bulls can be really good choice. For Pit bull to become really good family dog, you will need to shower them with love and properly trained them. Anyhow, these two dogs are a perfect combination that results in Pit Lab mix which is outstanding and simply beautiful. Mixing these two dogs results in a very popular breed for family and home in general. The Lab Pit Mix size is somewhere between the size of the Pit and the size of the Lab. Simply speaking, this dog is a little bit shorter than Labrador, but a little bit taller than Pitbull. However, this also depends on the dominant gene that this puppy inherited and that will determine how big will a Pitbull Lab mix get. Some might get bigger, some might stay a regular size Pitbull dogs, but after all, they are never going to be major size differences between the puppies. A Pitbull Lab Mix puppy is a hybrid, and that has its own benefits. These dogs are way stronger and have better immune system for lots of different illness and treats for health. However, you are never going to be 100% sure about the dominant genes of Lab or Pit in this mix. Some puppies might inherit more Lab genes, others might get a bit more Pit bull genes, but all in all, Pitbull Lab mix puppies are not so different. We all know that Labradors and Pitbulls are both cleaver and loyal dogs which makes them pretty good for family. Anyhow, both of these dog breeds are also really intelligent and willing to learn and train. Also, love towards the family comes first for these two dogs. The personality of ​Pit Lab Mix dog is similar to Labrador’s personality which makes this dog pretty good for family and home. Also they are easy to train and they don’t require much effort and care. However, you need to spend some quality time with this dog in order for it to grow into a good dog. Otherwise, Pitbull Lab mix dog will get pretty destructive if it is left alone. On the other hand, every normal person would have a little bit concerns about Pit’s bite reflex. Actually, Pitbull’s bite is way more dangerous than other dog bite which makes them really scary and able to do much more damage. However, Pitbull will never bite without a good reason because of the Pit bull temperament. These dogs are really smart and able to distinguish wrong from right if you train them well. Pitbull will definitely bite if it finds its master in danger or itself. The same goes with the black Lab Pitbull ​Mix. Anyhow, it all comes to temperament of the dog which is really good indicator for its possible attacks. This is why Pit Lab mix dog is really strong, but its temperament is calm and it doesn’t make any problems when it’s raised properly. Most of the people think that Pit Lab mix dog is quite hard to train, but, on the contrary, this dog is so easy to train. Namely, this dog is quite intelligent and obedient, therefore, it listens to every command you give them. So, when it comes to activity, it is the best to start with the easy training requests, like playing catch. Furthermore, you need to take into consideration that these dogs are quite strong and full of energy, so be ready to provide them as much time as you can. When it comes to behavior, these dogs are quite friendly and great for the family. Also, they are great guardians and they will protect every family member. Besides that, Pit Lab mix dog is able to connect with the master and basically understand if the master is in pain or in trouble. This is quite extraordinary and it makes these dogs quite remarkable. So, with a good puppy like this, you will have no worries. This dog won’t attack without a reason and it is definitely easy to teach this dog almost anything. When it comes to socialization, it is safe to say that Labradors are favorite type of dog for the most of people. On the other hand, Pitbulls have bad reputation and people actually don’t like to pet them or make any contact with them. This is, of course, not fair because Pitbulls are also playful and great dogs to socialize with. It is known that a confident dog is a happy dog, and the more you spend time with your dog, the better the dog actually is. That is why Labradors are really great when it comes to socialization. Labradors are quite good with people and they can be trained in any period of their life. On the other hand, it is quite important to socialize with Pitbull from the beginning of its life. Also, Pitbulls require constant socialization in order to become good dogs with lots of love for the family. Otherwise, they will be aggressive and bad for people to socialize with them. Anyhow, the Lab Pit mix is actually the same in this matter. You will need to socialize with Pit Lab mix dog as much as possible and from the beginning. When it comes to training Labrador and Pit bull mix, one this is certain, this experience is very rewarding. Both the owner and the dog will definitely enjoy training and everything that goes with it. Considering the fact that Pit Lab mix is extremely intelligent dog breed, this dog will respond very well to any command and instruction that owner gives them. Therefore it is not really hard to learn how to train a ​Pitbull Lab Mix. Also, it is very important to remember that both Labradors and Pitbulls work best with some positive reinforcement. The same goes for the Pit Lab mix dog, positive reinforcement is the best way to do training with this dog. Anyhow, punishing this dog breed is definitely not advised. The main thing that it is important here is that the trust will be destroyed between the dog and the master. So, using punishment is not a good way to train this dog, especially when it is still a puppy. The best way to train this dog is to use reward-based methods. With this type of training you will improve the bond between you and your dog. Also, dog will begin to understand the concept of training when you reward it after every successful thing he did. This will make him a better dog and definitely more obedient. Pitbull and Lab mix is a pretty healthy dog and it generally rarely has any major problems with health. However, this dog breed is based on genetic mix so there are some genetic health conditions that you can expect your puppy to have. Namely, you should always have evidence from the breeder that concerns elbow and hip scores. It is a common thing for Labradors to have hip problems when they get older, but with the Pit Lab Mix dog, that depends on the genetic code. Also, it is quite important to know that Labrador parent really shouldn’t have any history of illness or crucial ligament problem. On the other hand, you need to make sure that Pitbull parent should not have any skin illness or problems. This way, you will make sure that your puppy is in a good health and that it will become a great dog. ​Puppies between 8 and 12 weeks – 4 meals a day. ​Puppies between 3 to 6 months – Requires soft food, possibly milk. ​Puppies between 6 and 12 months – 2 meals a day. ​After 1 year – 1 meal is pretty much enough, but you can feed it some snacks in the spare time. Dog breeds like Pitbull Lab mix are easily groomed since they have short hair. You can brush them without any complications and ensure that their hair is perfectly groomed. Also, the fur is pretty much smooth and shiny which means that you will have no troubles maintaining it. On the other hand, you will most likely have to brush this dog’s hair at least once in a week. Besides that, using a standard dog shampoo will definitely help when it comes to hair and its health in general. Both Labradors and Pitbulls life span is around 12.5 years. However, Labradors are more likely to live longer than Pit’s since they have better health conditions. On the other hand, Pit’s are a bit stronger but their lifespan is a few months shorter. Also, how long do Pit bulls live depends on their life style and general care. Therefore, a Lab Pitbull mix dog should live for a little bit longer than 12.5 years. Anyhow, Lab Pitbull lifespan also depends on the overall care of the dog and how the master treats it. It is highly recommendable to keep this dog outdoors, or at least give them the opportunity to spend some time outdoors. It would be the best if you live in the house with a big yard, that way, this dog will have all the space that it needs. On the other hand, if you can’t provide space for your dog’s daily exercise, you should definitely walk them to the park or somewhere outdoors. This is important since Pit Lab mix dog gets quite nervous and cranky when it is caged up in small rooms or apartments. In the light of everything we said above, it is clear that Pit Lab mix dog is a perfect dog for your family and your home. All you have to do is to take good care of this dog and train it properly. Besides that, you don’t have to worry about any major health problems since this is a hybrid and it has pretty strong immune system. All in all, this dog breed is a majestic one and it definitely is a beautiful and strong type of breed. Having one of these dogs surely is a great thing.